Amsterdam, The Netherlands – The clocks going back can only mean one thing – cold, dark winter mornings. So why not avoid the winter morning blues and wake up bright for the day ahead with Philips Hue from Royal Philips, the global leader in lighting. Philips Hue connected home lighting has tunable white light and features four pre-set white light recipes, including ‘energize’ a cool blue light recipe that helps you get ready for the day ahead. Along with more than 190 third-party apps created just for Philips Hue, there are many new ways of saying goodbye to those winter morning blues. Philips Hue can connect up to 50 individual Hue bulbs, lamps and switches to one bridge, meaning that you connect, control and personalize the lighting in every room of your home using the Philips Hue app. 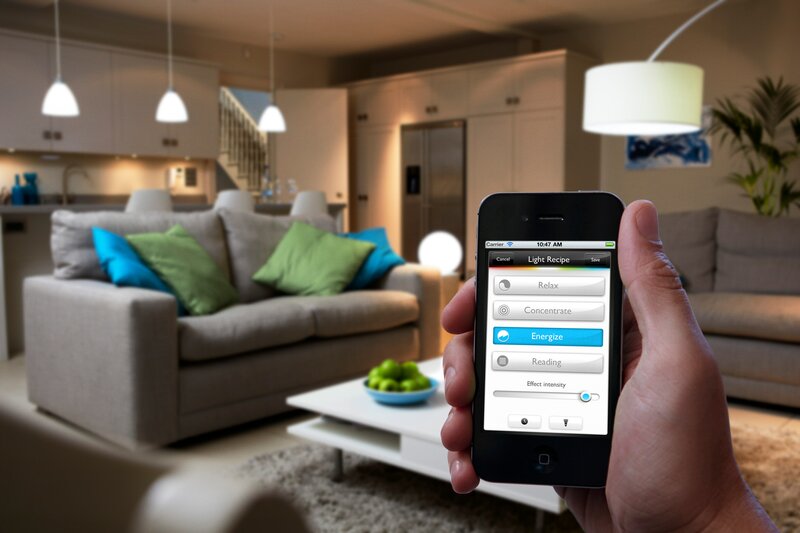 By integrating digitized light into your home in this way, you can program all the lights in the house to gradually brighten during the course of the morning, imitating the rise of the sun, gently waking you and your family up. Waking up naturally is made easier with the Sleep Cycle alarm clock app. This intelligent alarm clock analyzes your sleep using the sensitive accelerometer in the iPhone, and wakes you when you are in the lightest sleep phase by simulating a natural sunrise with Philips Hue light. With the Snoozy Alarm Clock app and Philips Hue in your bedroom, not only can you wake up with light from your favorite color palette, but also songs from your favorite iTunes playlist. As the days get shorter, you can also use Philips Hue to help you focus on work or the kids on their homework, using the pre-set Light Recipes. Select ‘concentrate’ or ‘reading‘ in the Philips Hue app to keep alert and productive as the evenings draw in. Philips Hue connected lighting for the home brings endless possibilities to use light in new ways for everyday tasks, to personalize your home and create extraordinary experiences.